Because I fell in love with reading as a child. Spending hours escaping into different worlds full of amazing people and places far beyond my simple childhood. As I grew older and my reading expanded so did my enchantment. A spark kindled inside me to not only read but to create, to allow my own imagination to catch fire. Characters whispered to me, at times they screamed for me to pay attention. Secret passages, distant galaxies, mysterious shadows and imaginary creatures battled with messages I felt compelled to voice. So many things to write. Yet, one link threaded through it always. I wanted to share my words with others. To allow them to see, feel, hear, taste and understand. An old poem of mine from my poetry art collection expresses what I hoped to offer my readers. ‘til my eyelids drift closed and I sleep at last. On the doorstep of springtime, I’m staring out the window at piles of snow. Under there somewhere crocus, hyacinths and anemone windflowers struggle to sprout. Usually by now they are already up and possibly blooming in violet, yellow or white. Hardy, yet too delicate to battle this much snow, it temps me to shovel out the front garden. Hmm, maybe not. Spring promises us rebirth and renewal from tiny seeds to leaf buds on a giant oak, from baby lambs to robin eggs of blue, and from snow and ice to warm fragrant breezes and sunshine. promise of springtime coming ‘round. 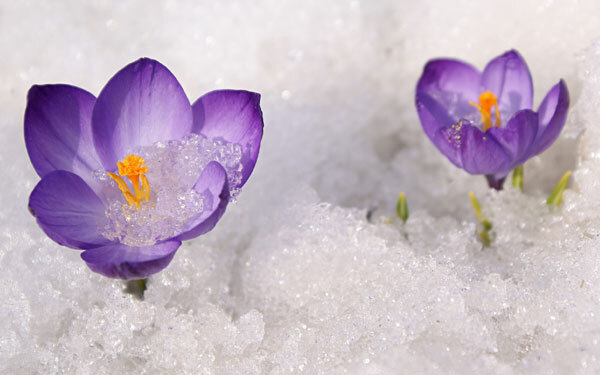 crocus blooms purple, white or yellow. Snowmelt! Birdsongs! A thaw to last. Earth liberated from arctic blast. hyacinth blossoms scent the air. Though my blog’s dedicated lately to mystery wrter interviews to help MysteryMost Cozy celebrate their 10th anniversary, I’d like to reclaim it today. Thanksgiving is such a special time. It reminds us to reflect upon our loved ones, the beauty surrounding us and all that’s good in our lives with thanks and appreciation instead of fretting about what’s wrong. I am so blessed with the wonderful people in my life and wish to extend my gratitude to each of you who read or follow this blog. 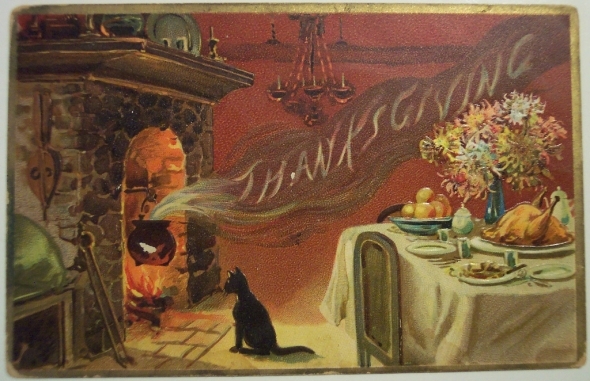 November is the month of Thanksgiving and remembering our blessings. At times we can find ourselves so caught up in problems or hectic schedule we forget to appreciate the bounty of blessings surrounding us. From the promise of sunrise to sharing a smile with a loved one to the giggle of a child, we often fail to appreciate the most precious things. I challenge you this month to offer thanks for those you care about, for the beauty surrounding us and for the good moments of your life. showered upon us each day. laughter as they play hide and seek. haunting fragrance drifting through the air. revealing velvet petals one by one. mirrored within a sparkling lake. flames the horizon ablaze with color. of brotherly love for all mankind. As most of you know blogging is not really my thing and I tend to neglect my own more than occasionally. 😉 So I’m delighted with the opportunity to help a wonderful group of readers & writers toast MURDER MOST COZY as they celebrate their 10 year anniversary. I get to interview mystery writers who I enjoy and admire, while mystery fans learn more about some of their favorite authors. Today I’ll launch the tribute with a rerun of three of my poems to capture the spirit of the remarkable authors who sweep readers away with the power of words. requires more than a beginning hook. discovered by an exploring gumshoe. or a dangerous shadow threatening life. or exploring all three suspects lies. than motives of love, betrayal and greed. plan it backward from the end. who’ll be next to die. this armchair detective keeping cool. reveal my guesses are incorrect. Summer ends today. It zoomed by in a whirl of family, friends, weddings, funerals, babies, endless writing projects, trips up the canyon, to the lake, in the mountains, sizzling sunshine, hot summer nights, thunderstorms and birdsongs. It feels as if summer barely dawned and now it’s setting, touching leaves with gold and scarlet as nights cool and days mellow. I already miss it. Now guess I’d better clean up fallen apples off the back lawn, deadhead the roses and tame some weeds. to the music of canyon winds. Thumbing through magazines and catalogues I see beautiful gardens and wish I could recreate them at my house. But the reality doesn’t match the dream. In part, because I’m a lazy gardener. Yes, I admit it. L-A-Z-Y. Shameful, but true. Sometimes, my flower patches boast more weeds and grass than blossoms. Sometimes, there are more fading blooms than rosebuds adorning my rose bushes. Sometimes, my clematis and honeysuckle vines entwine around the fence and even the peonies instead of the trellis. My herb garden occasionally sprouts a dandelion taller than the sage and lavender. The sad wilt of my pansies, snow-in-summer and creeping phlox reveal when I forget to water. It’s true sometimes my gardening skills look questionable. It’s not my skill – it’s my will. I truly intend to do better this year. I hear some of you echoing my resolution, so I am not the only lazy gardener here. Good, that makes my confession easier. I love gardening – I do. Except it’s so much work. And takes so much time. Plus I’m not as, ah, nimble as I once was. Knees and ankles tend to protest — rather loudly at times. Fortunately, I pad my landscape with flowering bushes like Rose of Sharon, flowering almond, forsythia, snowball, mock orange, Potentilla and bridal veil which need little grooming. The crazy thing is that I still get compliments on my flowers. Remarkable fact, yet I know why. Here is a secret I’ll share with my kindred spirits who love gardens more than the gardening: lazy gardeners cheat whenever we can. Plant tough and spreading perennials like coreopsis, cupid dart, blue flax, daylilies, balloon flowers and Missouri evening primrose that need little attention. Grecian windflower anemones add a delicate touch. You can discover easy-care plants to bloom from early spring until frost. In fact, every flower (except the roses) mentioned in this confession are simple care. Though you must remember some watering and to tame the weeds a bit. Fellow lazy gardeners rejoice! We can create beauty with minor effort – as long as we cheat. Now if I can just get that grass out of my flowers – any volunteers? The pansies lost a war with weeds. and now they need resowing. Naturally, the lawn needs mowing. How my head is spinning! to get the gardening done. instead of playing in the sun.